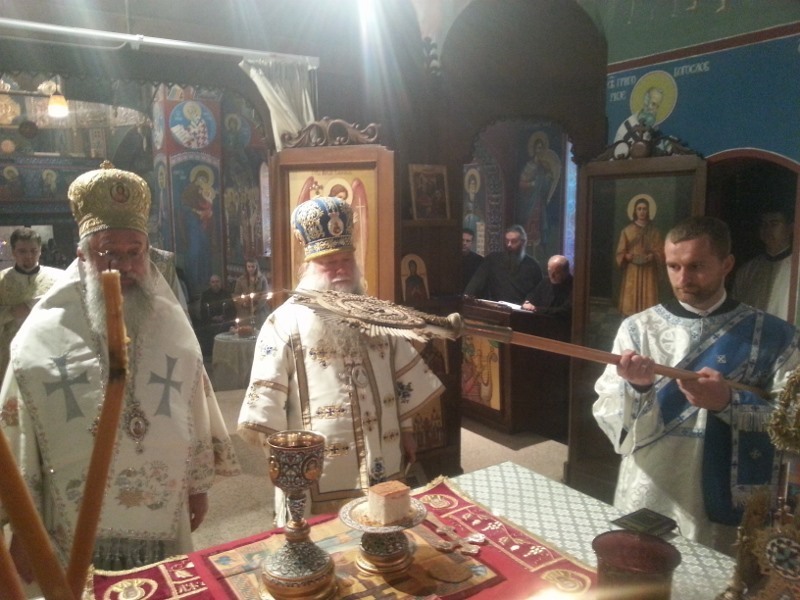 Libertyville, IL - On Friday, May 10, 2013, on the feastday of the Burning of the Relics of St. Sava of Serbian, the Krsna Slava of the St. Sava Monastery in Libertyville, His Grace Bishop Longin of New Gracanica and Midwestern America, with the blessings of His Holiness Patriarch Irinej of Serbia, served the Divine Liturgy with the concelebration of Bishop Peter of Cleveland of the Russian Church Abroad, together with a great number of local clergy. During the Divine Liturgy Aleksandar Vujkovic, a student of the St. Sava School of Theology in Libertyville, was ordained to the deaconate. 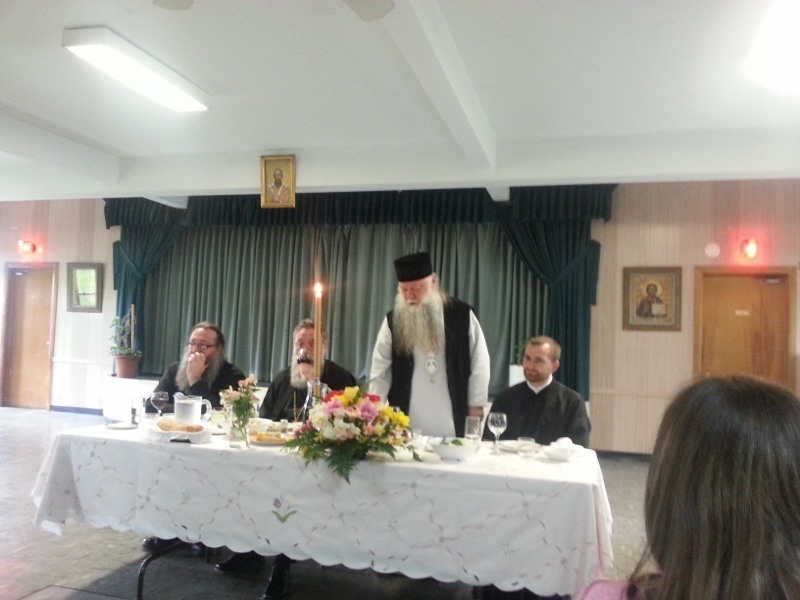 Following the Divine Liturgy, Bishop Longin adressed the gathered clergy and faithful with an inspiring homily making a comparison between the restoration of the mankind with Christ's Resurrection and the restoration, renewal, of our people, spiritually and through the enlightening act of St. Sava. According to the words of His Grace the bishop, the ashes of St. Sava have become the spiritual seeds for the Serbian people to this day, so that his children draw spiritual strength from his spiritual greatness, regardless of how far they are from their motherland. 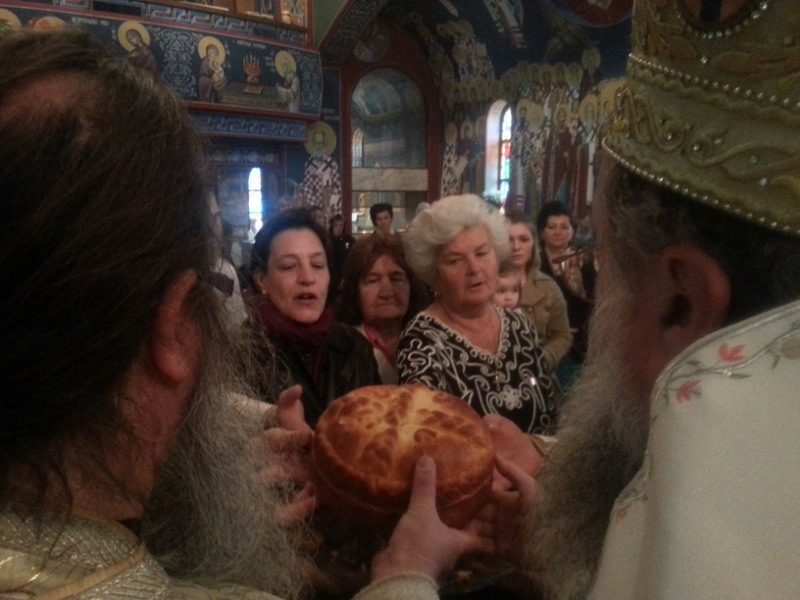 Following the Divine Liturgy the Slava Kolach was cut while the Myrrhbearing Women of St. Sava Monastery, prepared a hearty Slava meal for all those present.